Ready to control and/or reverse arterial plaque? I hope that is the case, because doing so will greatly improve your cardiovascular health and erectile strength. As those arteries, arterioloes and capillaries begin to fill up with plaque and the entire body and brain calicifes, it gets ugly very fast. Some of the lesser known issues showing up in the research related to atherosclerosis are Alzheimer's and Parkinson's, which appear to be partially related to the calcification of the brain. a) Fasting cholesterol levels. These are the lipid numbers that you typically pull when get them pulled first thing in the morning after fasting for 12 hours. b) The Post-Meal Lipid Surge. This is basically the sudden increase in triglycerides and cholesterol that occur after you eat. Now I have already covered ways to naturally lower your fasting cholesterol in my page on How to Lower LDL Naturally (Without Statins), so you can read that if you are interested. On this page I will discuss ways to clean up the other side of the house, i.e. quenching baseline and post-meal triglycerides. Realize that triglycerides are most related to refined carbs. Wheat, white rice and many processed foods are notorious for increasing triglycerides. Researchers found the most natural way to lower the triglyceride portion of the lipid wave that occurs after eating (besides avoiding refined carbs of course) is post-meal low intensity exercise. A recent study found that if you simply walked for a short period of time after a meal - details are below - that triglycerides dropped from 172 to 131 mg/dl! That's a huge 24% drop just by doing a very simple activity. And this solution is rather obvious if you stop and think about it: the typical day of those in our ancestral past included lots of low intensity exericse, the majority of which was walking. This is the foundation that our physiologies were built on. In fact, I would make the argument that the supplements that we use to pull down triglycerides are simply crutches to hide our unnaturally sedentary lifestyles. Now keep in mind that these participants were put on a high fat diet to skew their lipid results, so if you have lower triglyceride levels, you will probably not get that big of a drop. However, even if your triglyceride levels are significantly lower, you still need to shave off that surging wave of lipids coursing through your arteries after you eat. a) Exercise was 1 hour after the meal. b) Walk at low intensity, which is definied as brisk walking. Low intensity does not mean slow walking by the way: you need to keep up a decent pace to meet this requirement. The rewards for doing this are huge: arteries that are clean and clear of plaque. (You also need a proper diet of course!) And you get another huge benefit: restored endothelial function. Endothelial function is a scientific way of saying that your blood vessels and arteries can relax and increase blood flow. This is absolutely critical for erectile function and heart health. Again, you've got to get up and move! It doesn't matter than much how or why - just that you do it. 3. Drop the High Glycemic Carbs. Many men think that all carbs raise triglycerides. As metnioned above, the truth is that it is only refined carbs, such as wheat, white rice, etc., that significantly raise triglyceride levels. Low glycemic carbohdrates, such as beans, lentils, vegetables, etc., have a marginal impact. Therefore, there is no reason not to eat good carbs, but every reason to be cautious about processed foods. i) Niacin. A common methodology - and one of the pillars's of Dr. Davis' methodology - is megadosed Niacin. This is best done under a physicians supervision as liver function shoud be tested and side effects evaluated. It results are impressive: a solid lowering of triglycerides and increase in HDL. Long term effects are unknown. ii) Pantethine (Downstream of Vitamin B5). 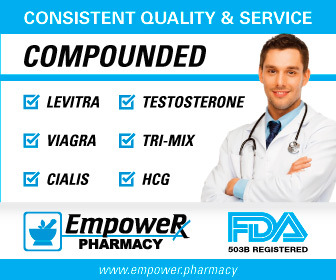 900 mg is usually taken and this supplement has the remarkable ability to raise HDL, lower triglcyerides and lower LDL: it does everything one could hope for. However, this also appears to be using non-physiological dosages. The adult male RDA for pantothenic acid, which is the standard form of Vitamin B5, is just 5 mg and pantethine is downstream of it. Although pantethine is composed of two molecules of pantothenic aicd and a cysteamine molecule, i.e. is a heavier molecule, and thus 900 mg is still undoubtedly a non-physiological dose. However, it has been used in Japan and Europe as a choesterol-lowering medication actually and so it does have some history of safety. . From what I understand, side effects are virtually non-existent. However, long term effects are unknown. CAUTION: If you have any medical conditions or are on any medications, discuss with your physician first. 1) Heal Your Heart, Dr. K. Lance Gould, p. 59. 3) Med Sci Sports Exerc, 2013 Feb, 45(2):245-52, "Combined light exercise after meal intake suppresses postprandial serum triglyceride. 5) Metabolism, Feb 1997, 46(2):217 223, "Effect of prolonged exercise training without weight loss on high-density lipoprotein metabolism in overweight men"
6) Medicine & Science in Sports & Exercise, Sep 1997, 29(9):1170-1175, "Effects of cross-training on markers of insulin resistance/hyperinsulinemia"
7) JAMA, 1984, 252:504-506, "Changes in Lipid and Lipoprotein Levels After Weight Training"
8) Diabetes Care, Apr 98, 21, "Fish Oil and Glycemic Control in Diabetes: A meta-analysis"
9) The Journal of Nutritional Biochemistry, Nov 2002, 13(11):684 689, "Differential effects of dietary flaxseed protein and soy protein on plasma triglyceride and uric acid levels in animal models"